For many Americans, paying the bills nowadays can be challenging. With the market still struggling to recover, and wages having not grown in more then two decades, people are looking to do more with less. This has led some homeowners to make long-term plans regarding the future of their home, leading to decreased costs. What are they doing to reduce the amount they spend on heat and cooling? Two words, window replacement. What many people do not realize is that a great deal of heat and cooling loss in the home occurs through older windows. From terrible sliders to windows that do nothing to stop heat loss, some homeowners are venting their cash right out the window. The solution then is to replace these windows with new ones that will save you a great deal of money in the long term. All of this starts with a free quote from Best Windows Inc.
As we mentioned, it is worth getting a free quote regarding your windows from Quality Windows Inc. because you may be venting a great deal of heat during the winters. This increases your heating bill a great deal. By replacing your windows, you can have more secure, more cost saving, and easier to open/close windows. 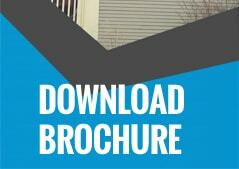 More often then not, people are afraid that a free window quote will turn into something else. Unlike our competitors, we will not pressure you into a deal once we are there. We understand that it is your right to get our free quote and go with someone else. Our free quotes are a service we provide to the community that we support and which supports us. If there is ever the possibility that we can help local residents save on heating and cooling costs, then we will love to help. If you do decide to go with our quote, we can provide you with everything you need to make an informed and intelligent decision moving forward. If you then decide to go with our windows, then you can get a number of cost saving features, including low E coated glass filled with argon gas, triple weather stripping in sashes for less air filtration, tilt-in feature for easy cleaning, and NFRC U-rated .27 or below rating. To schedule an appointment for an estimate, call us today at (708) 204-2446 or click on our contact form for a super fast response!. 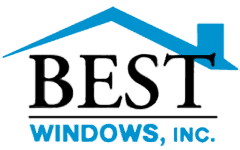 You can also visit our website Bestwindows.net to know more about free window replacement quote La Grange IL.